Street Fighter 30th Anniversary Collection will be punching its way onto PlayStation 4, PC, Xbox One, and Nintendo Switch in 2018, Capcom has announced. The release date for bundle of 12 games has been confirmed to launch on PS4 on May 29, 2018. 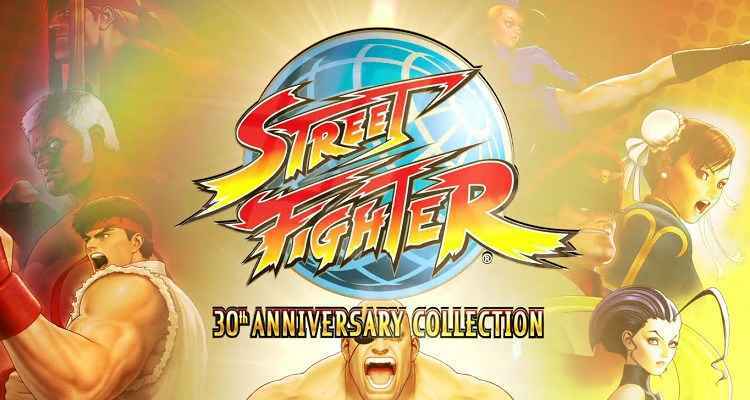 The collection will contain a total of 12 titles in the venerable fighting game franchise, from the original 80s brawler all the way to Street Fighter 3: Third Strike. Capcom is encouraging pre-orders of the Street Fighter Collection with the incentive of getting a free copy of Ultra Street Fighter IV. Capcom has confirmed that Street Fighter 2: Hyper Fighting, Super Street Fighter 2 Turbo, Street Fighter Alpha 3, and Street Fighter 3: Third Strike will include online multiplayer. Gamers can square off against the CPU while waiting for an online battle against friends, with lobbies able to accommodate up to four players. Ranked matches are also featured, allowing you to prove your might against the very best. Street Fighter 30th Anniversary Collection also includes save states, allowing you to record your progress and resume at any point. Finally, there's a Museum mode letting you have a butcher's at concept art, character bios, pitch documents, and various facts about each of the 12 games. You can also jam to the series' soundtrack with the Music Player option to boot.